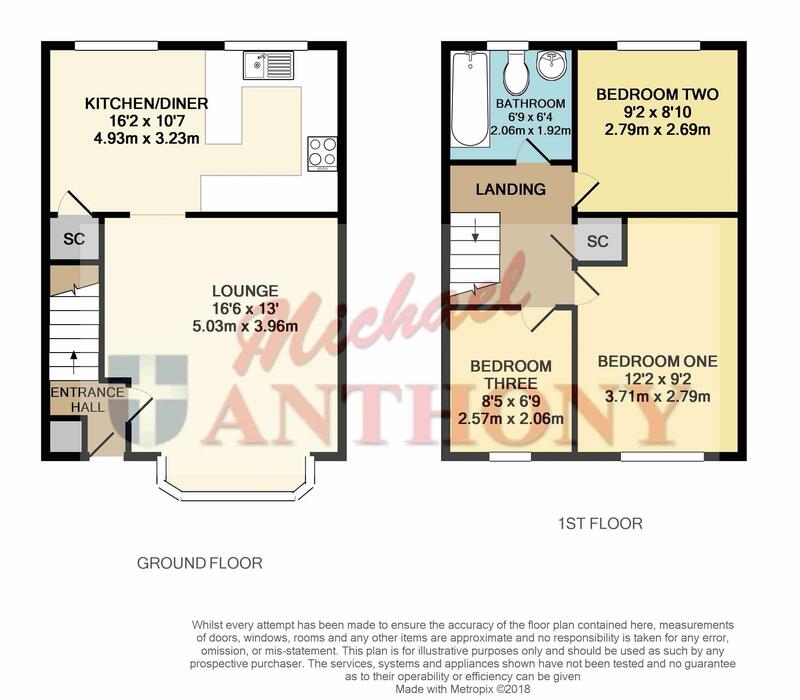 Michael Anthony are delighted to offer for sale a modern terraced house situated in a small cul-de-sac on the popular Poets estate in Newport Pagnell. The house comprises hallway, lounge, dining room with kitchen off and three bedrooms and a family bathroom to the first floor. The house has gas warm air heating and double glazing. Outside there is an enclosed rear garden and a single garage in a nearby block. The house is sold with vacant possession and would benefit from some improvements, call now to arrange an internal inspection.